Diced tomato, basil, and lots of garlic tossed in olive oil, served on four slices of bread lightly tossed with a little bit of melted mozzarella. 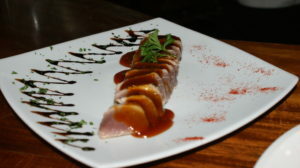 Sushi grade Tuna with the Chef’s special semi-spicy chipotle sauce. 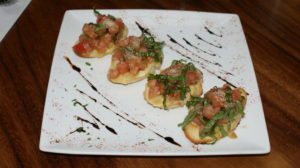 Vine-ripened tomatoes, fresh mozzarella with basil, virgin olive oil, vinaigrette oil and balsamic dressing. 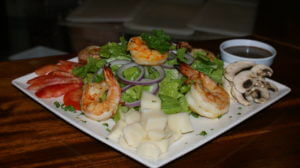 Five jumbo chilled shrimp served over a bed of lettuce with homemade original cocktail sauce. Fresh leaf spinach with mushrooms, onions, walnuts, hearts of palm and Victoria’s balsamic vinaigrette. Tempura battered baby shrimp served with our home made buffalo aioli. Marinated in garlic then grilled to perfection with mashed potatoes and vegetables. Grilled to perfection and topped with the Chef’s special semi-spicy chipotle sauce accompanied with Victoria’s potatoes and fresh vegetables. 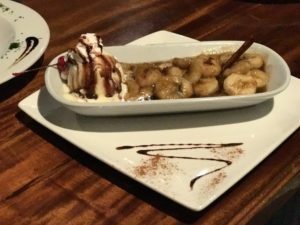 Grilled to perfection and topped with our creamy white wine garlic sauce served with Victoria’s mashed potatoes and fresh vegetables. Fresh Pacific sweet lobster stuffed with lobster termidor and shrimp stuffing. 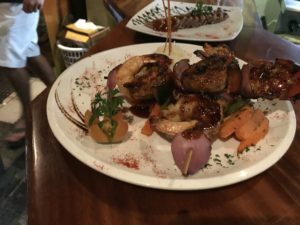 Fresh Pacific jumbo shrimp skewered with red onion and green peppers, grilled then topped with our homemade sweet and smoky BBQ sauce accompanied with mashed potatoes and vegetables. 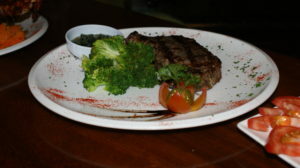 Melt in your mouth New York Strip imported from Iowa aged, seasoned, then grilled to perfection then accompanied with Victoria’s garlic mashed potatoes and fresh vegetables. 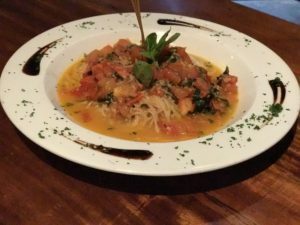 Capellini pasta tossed with fresh tomatoes, fresh basil, garlic and extra virgin olive oil. A true 90 year old recipe served over spaghetti with red sauce. Penne pasta smothered with sweet pacific shrimp and imported spicy sausage in a light white sauce. “You will lick the Plate- I Promise..."
Victoria’s savory homemade Alfredo sauce poured over fettuccine pasta and topped with juicy grilled chicken. Victoria’s creamy white sauce with a mixture of exotic vegetables (broccoli, cherry tomatos, black olives, and zucchini) topped on a bed of spaghetti. 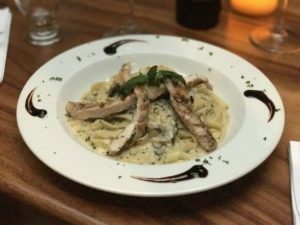 Extra large succulent chicken breast lightly floured, dipped in our seasoned egg batter, sautéed, with imported white wine, garlic and lemon butter sauce over your choice of pasta. Caramelized onions, Kalamata, olives whole roasted garlic and house’s mozzarella then topped with walnuts. Voted No. 1 Pizza "A Killer Pizza..."
Chicken marinated in pesto, Spicy pepperoni, caramelized onions, mozzarella and toasted walnuts. Mushrooms, red & green peppers, onions, fresh tomato and our house mozzarella. Fresh tomato, basil pesto sauce and our house mozzarella, baked to perfection. Premium slices of smoked ham and sliced pineapple topped with our house mozzarella. Fresh sliced tomatoes, whole roasted garlic, Victoria’s Pesto and seasoned shrimp. Spicy pepperoni and our special pizza sauce topped with our house mozzarella & oregano.
" Not too Spicy and just enough to make you want more..."
A perfect combination of two imported sausages, pepperoni, Mama’s meatballs and smoked ham topped with jalapeño. 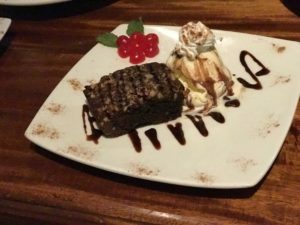 “New but soon to be the No.1 contender – My Favorite..."
“Save room for this Killer Brownie..."
An old fashioned chocolate brownie served warm and topped with vanilla bean ice cream, chocolate syrup, whipped cream and walnuts. 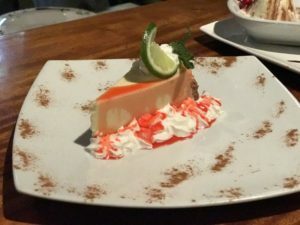 This creamy “melt in your mouth” Cheesecake is prepared with a graham cracker crust and topped with the whipped cream. 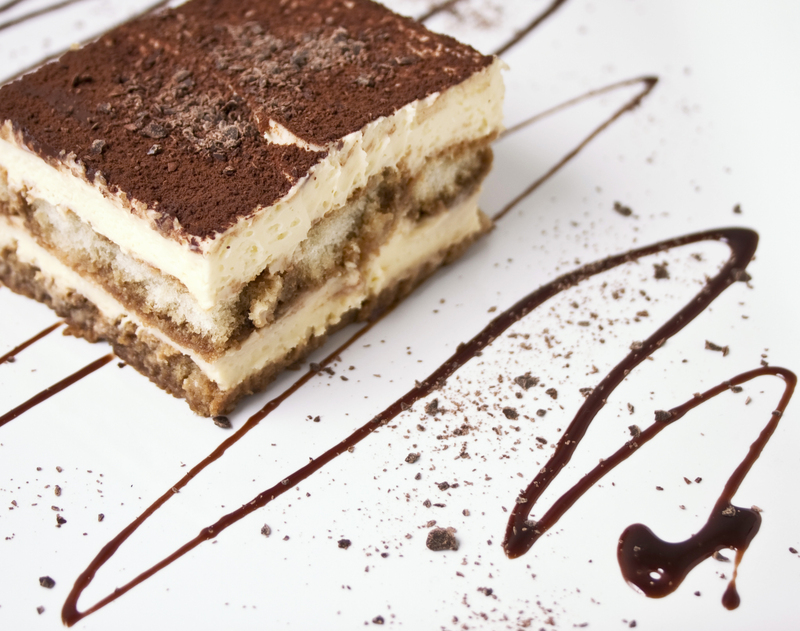 Victoria’s Tiramisu is an elegant and rich layered Italian dessert made with delicate ladyfinger cookies, espresso or instant espresso, mascarpone cheese, eggs, sugar, Marsala wine, rum and cocoa powder.